50–YARD LINE MOM® is a women's organization that provides education and support for mothers of athletes at all levels of sports, including high school, college, and professional. A universal truth is that “Mom” is the center of gravity for all aspects of a child's life, and that includes the child's participation in sports. So our mission is simple – to share insights and advice that will have a significant influence on the development of your child throughout his or her sports journey. 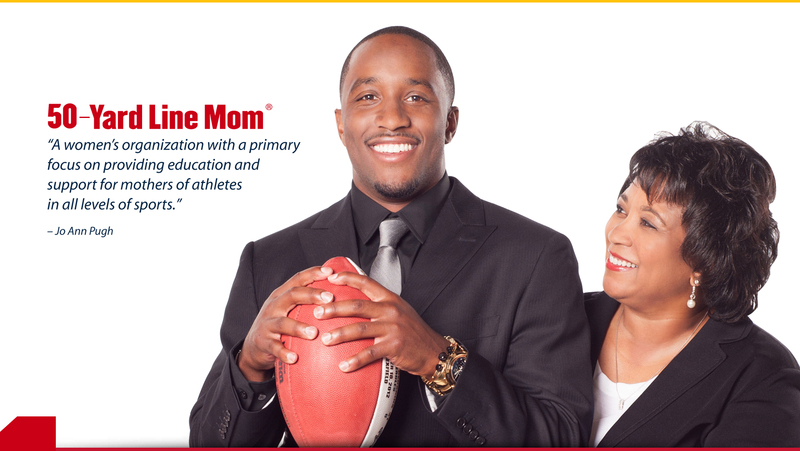 Key services of the 50–Yard Line Mom® organization include: workshops, seminars, and tools to help you navigate effectively through the complex world of sports; customized consulting for individuals and organizations; motivational speaking; event organizing and management for athletic departments, booster clubs, and other sports–related entities; and networking opportunities.